A teenage girl in Minnesota died after undergoing a routine dental surgery in 2015, and now the family is suing the dentist seeking $50,000 in damages. Sydney Galleger was having a wisdom tooth removed and was put under general anesthesia. The 17-year-old girl went into cardiac arrest in the dentist’s chair. The dentist started CPR and called an ambulance, which transported her to University of Minnesota Masonic Children’s Hospital. Her condition stabilized at the hospital, but she continued to suffer from a series of seizures. She died a few hours later due to swelling of the brain. Gallerger’s parents originally blamed a possible undiagnosed heart condition for their daughter’s fatal reaction to the dental procedure, but they now allege the dentist did not administer general anesthesia properly, and that he also failed to monitor her properly. Dr. Paul Tompach has been placed under restrictions barring him from using anethesia, but he is still allowed to treat patients. His license was suspended for a short time before he was reinstated for practice while an investigation continues. Sydney Galleger is among a small number of young patients to die in recent years during dental surgery while under anesthesia, or from complications arising after the procedure. A 24-year-old southern California man died while having wisdom teeth extracted in 2013, and a 17-year-old girl in Maryland died under the same circumstances in 2011. Others have died from different complications resulting from wisdom teeth extraction. In 2016 Benjamin LaMontagne fell seriously ill days after having a wisdom tooth removed. The 18-year-old from Maine was diagnosed with an infection of streptococcus bacteria, a potent superbug that attacks skin, muscle and fat in the human body leading to toxic shock and death. Despite these tragic deaths, dentists point out that thousands of wisdom tooth extractions are handled successfully every day across the U.S. and throughout the world. The risk of death is extremely small. There is often no choice but to remove a wisdom tooth that has become impacted and infected. That means surgery, involving anesthesia, is usually the only way the procedure can be done. Dr. Joel Weaver, director of anesthesiology at Ohio State University’s College of Dentistry, reports that one out of every 350,000 patients sedated for dentistry die each year. But patients undergoing general anesthesia in a hospital operating room die at a rate of 1 in 100,000, making general anesthesia three times deadlier in hospital ORs than dentist chairs. Wisdom teeth are located in the deep rear of the mouth making them difficult to clean, which in turn leads to infection. Another common problem is that wisdom teeth are prone to emerge or grow incorrectly. Typical side effects associated with post-wisdom teeth surgery are pain, a condition called dry socket, and bacterial infection. Such complications are rare, however, with less than 6 percent of all cases requiring any follow-up medical treatment. Many people opt to have their still healthy wisdom teeth removed at a young age as a preemptive measure. This decision for elective wisdom teeth extraction is somewhat controversial even among dental professionals. Not all dentists advise early removal, and some are quite passionate against it. when there is pain, infection, cysts, tumors, damage to adjacent teeth, gum disease or tooth decay. This suggests the ADA does not recommend the elective removal of viable wisdom teeth, since it’s a potentially complicated procedure, unless there’s an actual need for it. If you’re thinking of getting your own wisdom teeth removed just in case, maybe ask for a second professional opinion before you decide. Photo by Ricky Romeo, available under a Creative Commons Attribution-NonCommercial 2.0 Generic license. Scientists have confirmed that three babies produced by a female zebra shark in Townsville City, Australia, were conceived asexually. Although this shark, named Leonie, had shark babies with a male partner in the early 2000s, aquarium workers noticed Leonie was pregnant yet again in early 2016. Sure enough, three baby sharks were birthed later this year. Although asexual reproduction is rare in sharks, scientists have known for awhile that many vertebrate species have the ability to reproduce both sexually and asexually. Leonie was first put into the Reef HQ Aquarium in Townsville City in 1999. She had a male partner with her at the beginning. Over the years, Leonie had some two dozen babies with the male shark. Then, in 2012, the aquarium staff decided to move the male shark out of Leonie’s tank to give her some privacy. From 2012 until today, Leonie has had no male contact. After these years of isolation, Leonie suddenly produced three shark offspring in early 2016. This quickly caught the attention of local researcher Christine Dudgeon, a professor at the University of Queensland in Brisbane, Australia. At first, Dudgeon and colleagues thought that Leonie must have stored sperm from her male mate and only chose to use it to fertilize her eggs much later. However, after testing Leonie’s three new children, researchers discovered that they only contained the DNA of her mother. There were no traces of the father’s DNA in these three little sharks. This discovery made it clear that Leonie must have reproduced these offspring asexually. As mentioned before, this isn’t the first time a vertebrate has been observed asexually producing children. Scientists have documented Komodo dragons, eagles, and boa constrictors doing the same thing. The interesting thing about Leonie’s case is that she switched from sexual to asexual reproduction exactly when her external conditions demanded she make an adaptation. This leads many in the scientific community to wonder just how common asexual reproduction is in the wild. Scientists note that Leonie’s case is the first time on record they’ve observed a female zebra shark making the switch from sexual to asexual reproduction so quickly. Researchers say this decision to reproduce asexually clearly shows the importance of external pressure. It also proves many animals that reproduce with partners have the ability to reproduce on their own if they feel the need to. The actual biological function that allows this sexual/asexual switch is still unknown to scientists, but Leonie’s case offers a few more clues into its evolutionary function. In addition to learning more about this asexual reproductive function, researchers now have a clearer sense of the evolution of zebra sharks over time. Over the course of the species’ history, there are many periods of sharp reductions in the zebra shark population. These declines often occurred during ice ages. Dudgeon believes that during these periods of population decline females must have preserved the species by reproducing asexually. The news of Leonie’s asexual reproduction isn’t only helping scientists better understand this mysterious evolutionary adaptation, it’s also giving them hope for the future. Zebra sharks are now considered a vulnerable species. The main threat to their survival comes from inshore fisheries. Still, if female zebra sharks adapt to their circumstances and can start reproducing asexually, many marine biologists are hopeful zebra sharks will make it into the future just fine. New data shows that the Arctic’s floating sea ice levels are the lowest ever recorded. Although we’ve only been monitoring the earth’s sea ice levels with satellite technology since the 1970s, some scientists believe this could be the lowest level ever. Meteorologists around the world are pointing to this data as yet another warning sign of the disastrous implications of global warming. This new satellite data comes from the U.S. National Snow & Ice Data Center located in Boulder, Colorado. On this center’s latest graph, which was officially published on January 14th, Arctic ice levels are documented from 1978 to the start of 2017. It is clear to spot the outlier in the 2016 line. This red line dips well below the average during the months of October, November, and December. Most scientists, perhaps unsurprisingly, believe global warming played a key role in this year’s decline. To further prove their point, scientists also point to another graph that details the shrinking Arctic sea ice levels during the winter season. Yet another graph released by the Snow & Ice Data Center shows how Antarctica’s sea ice area has been shrinking rapidly during the southern summer season. However, most meteorologists are not screaming in panic just yet over these Antarctica numbers. Although these numbers aren’t great, many climatologists believe 2016’s low Antarctica number was exacerbated by natural temperature variability. It’s the data surrounding the Arctic that has more climatologists worried. Since the Arctic’s ice levels have been in a steady decline for decades now, most meteorologists believe it must be due to the increased pressure from global warming. Warm air is entering into the Arctic, which causes the ice to melt more rapidly over time. This would explain why many nations in both Europe and Asia experienced extremely low temperatures last year. As the warm air moves into the Arctic, it pushes all the cold air out into these continents. There is, right now (as of Jan. 12th), the least area of sea ice on our planet that we’ve ever measured—probably the lowest in millennia. Holthaus also posted graphs with both the current Arctic sea ice levels and 18,000-year reconstructions. As the sea ice melts, scientists observe that the ocean gets exposed to more sunlight. Since lower ocean levels are darker than the ice above, the ocean naturally absorbs more heat from the sun. This effect has led some in the meteorological community to fear the melting of a huge ice sheet by Greenland. Once this ice sheet melts, the waters will flow from the land into the ocean and raise sea levels. Today, Greenland’s ice sheet is 1.9 miles thick. If it melts, it could raise global sea levels by as much as 25 feet. Although these numbers are sobering, many scientists believe the Arctic numbers will increase over the next few years. After a few years of increase, these numbers will most likely slide down even further. Ed Hawkins, a professor at the University of Reading, said that huge falls like this are often followed by a rebound. That doesn’t mean, however, that the trend for Arctic ice levels will move upwards. All scientists urge world leaders, especially President Donald Trump, to put global warming policies on the top of their agendas while humanity still has time. It’s no secret that many U.S. college students have been defaulting on their loans or simply find them very difficult to pay back. The burden of student debt has become somewhat of a go-to bitter joke, with the issue making an appearance on virtually every TV show or movie about young adults. Today, Americans have a better sense of just how many students have failed to pay even $1 on their loans. A memo recently released from the Education Department showed that half of the students at over 1,000 colleges defaulted on their loans within the last seven years. This sharp increase from the numbers previously released by the Education Department has reawakened calls for reforming this federal department. When analysts at the Wall Street Journal looked into these new numbers, they found that the Education Department inflated repayment rates by 99.8 percent from their last report. Previously, the Education Department said only 347 colleges experienced a loan default rate of 50 percent or more, but now that has increased to 1,029. The original numbers were released back in 2015 under the Obama administration’s watch. Students on the 2015 report were supposed to start repaying their loans between 2006 and 2007. Those numbers were the first officially released numbers on the “College Scorecard” set up by the Obama team. After the 2015 numbers, there was a second batch of statistics released in September. This data showed a rise from 347 to 477 colleges with loan defaults 50 percent or higher. The second report included students who were supposed to pay back their loans in 2007 or 2008. Although 477 is a sharp rise from 347, it’s nowhere near the jump from 477 to 1,029. The Education Department is blaming this change in numbers to a technical programming error. Given the magnitude of the numerical changes in the report,…the University of Memphis will be challenging the accuracy of the newly adjusted data. Although the U of M saw one of the greatest revisions, no college or trade school had better repayment rates after the recalculation. Calls For Reform From D.C. While this recalculation was extremely embarrassing for the Education Department, this wasn’t the first time the department has publicly failed. One government report released not too long ago critiqued the Education Department’s method of tracking information. In particular, this report scolded the Education Department for looking at the budgetary aspects of student loan forgiveness. Some higher education experts believe this history of unreliable data coming out of the Department of Education is a quality control issue. Robert Kelchen, who works as an assistant professor of higher education at Seton Hall University, told reporters that the Department of Education “needs to be regularly audited” in order to avoid these embarrassing issues. Can President Trump Change Loan Policy? There’s some talk in Washington about making schools accountable for low loan repayment rates. It’s unclear at the moment whether or not a Trump administration will attempt to punish colleges if their students cannot pay back their loans. On the campaign trail, Donald Trump said he would work to cap annual student loan payments at 12.5 percent of a student’s income. President Trump also said that all outstanding loans should be forgiven after 15 years, in an effort to reduce the overwhelming burden of student debt. There are now at least 44 million Americans with a total of $1.4 trillion in student loans. British public health workers are taking a stand against alcoholic advertisements. Specifically, these public health workers want to restrict ads targeted at young people. The Alcohol Health Alliance (AHA), which now represents about 40 U.K. health NGOs, said many alcoholic companies are not complying with many British advertising laws concerning this issue. Members of the AHA fear the methods alcoholic advertisers now use could make more youngsters dependent on alcoholic products. AHA’s renewed call for an alcohol advertising ban was inspired by a new article published in the journal Addiction. This article looked into 14 studies concerning the effects of alcoholic companies’ advertising policies on young people. Just a few claims made in these studies include the charge that alcohol companies deliberately broke voluntary codes of practice during the 2014 Fifa World Cup, and that most of the content used in alcoholic ads today is specifically designed to persuade young people to drink. These papers provide a wealth of information to support governments in their efforts to protect children…from exposure to alcohol marketing. Taking their cue from Dr. Babor’s research, groups like the AHA have ramped up their efforts to combat alcoholic advertising Great Britain. Just a few weeks ago the AHA helped remove a TV ad put out by Captain Morgan that showed young people dancing on a ship while drinking rum. The British Advertising Standards Authority said the ad breached the very codes it put in place for TV advertising. The AHA now wants alcohol companies to be restricted from showing ads on TV, in the movie theaters, and even from sponsoring sports teams. Although these are lofty goals, the AHA doesn’t want to stop there. The AHA told members of the media they want a comprehensive ban on all alcoholic advertising. Many AHA members point to the comprehensive ban in Norway as an example for what they want to see happen in the U.K. The best way to reduce alcohol-related harm is to target programs and policies at harmful drinkers. AIP members say the rate for youth alcohol consumption in the U.K. is very low right now. Currently only 17 percent of children between the ages of 8 to 15 admit to drinking on a regular basis. Another reason it looks unlikely the AHA will be able to enforce this ban on alcoholic advertising is the fact that most alcoholic companies are now reaching younger audiences on social media. Advertising experts note that alcoholic companies are also reaching younger audiences by endorsing and funding interviews with stars in the music industry and professional sports. Alcoholism In The Modern Day U.K. Although youth drinking seems to be diminishing, the rate of alcohol abuse in the U.K. is still a major health issue. New statistics show that about 9 million people in England drink more than they should every day, and there are about 8,000 deaths in the U.K. each year directly related to alcohol. 7.5 million U.K. residents have no idea how harmful excessive drinking could be for the body’s system. For those who don’t know, alcohol has been directly linked to over 60 medical conditions including liver cancer, high blood pressure, cirrhosis of the liver, and mouth cancer. Public health officials hope that by banning advertising more people in the U.K. can make wiser decisions about drinking at an earlier age. Is Wet Seal Really Closing All Its Stores? After receiving a letter from Wet Seal dated January 20, 2017, the Wall Street Journal reported that the clothing store is closing all of their shops and laying off all employees. The retailer let employees know at their Irvine, California headquarters. 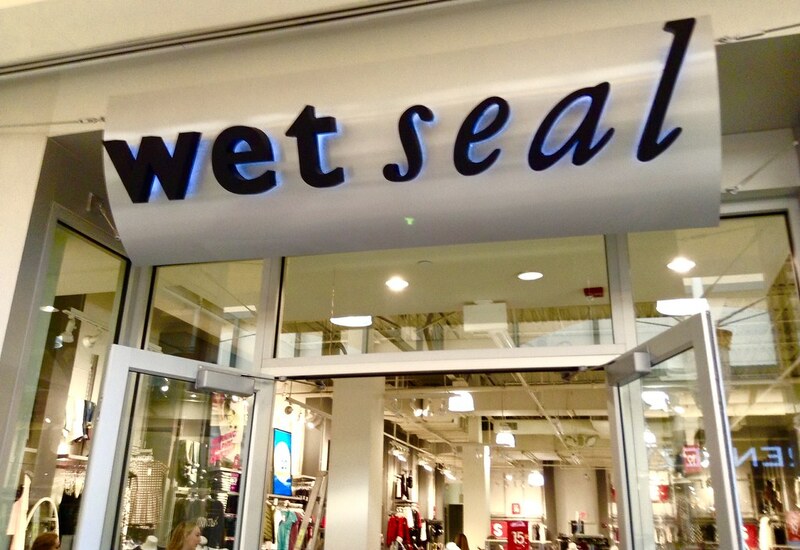 Wet Seal has 338 stores with 171 located in the United States and almost 3,700 employees. As all the shops are closing, both the employees and customers will be impacted, the first having to secure new jobs in a relatively short amount of time. The company decided to hald all retail activities because it couldn’t secure funding or find a strategic partner. Wet Seal has $50 million-$100 million in liabilities and $10 million-$50 million in assets. Moreover, this is actually the second time the retailer has filed for bankruptcy, the first time being in January 2015. At the time, the company had a reorganization plan to fund operations during bankruptcy. Under the plan, B. Riley Financial Inc. would have received 80% of its stock exchange for a $20 million loan. Shortly after the January 2015 bankruptcy filing, Versa Capital Management LLC acquired the teen retailer for $7.5 million. Versa Capital Management had promised to keep at least 140 stores open, but unfortunately, they are unable to keep the promise due to how bad their financials are. Their location in Foothill Ranch, California had lost over $150 million over the past two years when they filed for bankruptcy in 2015. The store also defaulted on $27 million worth of senior convertible notes. Wet Seal’s sales had declined 15% in Q3, the third financial quarter, of 2014. According to Internet Retailer, the retailer generated approximately $27.5 million in online sales in 2015, which was a 2% decrease from 2014. As revealed in court documents, Wet Seal owes the most money to FedEx Corp.,$608,977. The company has enlisted Hilco Streambank, an advisory firm, to sell their intellectual assets. Wet Seal is also currently running a 30% off everything sale online to clear out inventory. Wet Seal isn’t the only American retailer struggling financially. Also in January 2017, Sears Holdings closed dozens of their Kmart and Sears stores. The Limited was the first retailer in 2017 to announce it would close its stores and file for bankruptcy protection. Talbots and The Loft shut down their shops at the Circle Centre Mall downtown. Even American Apparel and Aeropostale have filed for bankruptcy over the past few years. As the spending habits of young people change, mall traffic falls, and retail competition increases, more retailers continue to struggle. In general, mall-based stores have been losing to online merchants and big box chains. It looks like Wet Seal has really come to an end this time. They barely managed to escape shutting down the first time that they filed for bankruptcy in 2015. Business has not picked up for them since then, so there’s no choice but to close all of their stores and file for bankruptcy again. Wet Seal isn’t the only retailer that’s been struggling financially for years due to changing sociographic and higher competition. Other major U.S. retailers are barely staying afloat or have had to file for bankruptcy too. Business analysts predict that clothing store will slowly be overthrown by on-line shopping giants such as Amazon that offer quality products at lower prices. Locals attribute these strange occurrences to the existence of fairies. Strange circles found around the coastal Namib Desert in southern Africa have baffled researchers for decades. Hundreds of these arid circles, measuring between 7 to 50 feet in diameter, are dotted along the long desert. Two major theories have attempted to explain these so-called “fairy circles” throughout the years, and, interestingly, both may be true. Some theorists believe that termites deep beneath the soil form the circles. This group claims the insects clear all the vegetation situated right above their underground nests. Since the soil becomes more permeable without vegetation, rainwater easily flows 50 centimeters below the earth’s surface and into their nests. This, theorists claim, helps form a healthy balance between both the termites and the local environment. The second main theory behind the Namibian fairy circles is called the water competition theory. As the name suggests, the adepts of this theory believe the fairy circles appear due to intense competition for water between plants. As long as the vegetation is dense, water levels are maintained and the plants have enough nutrients. However, lonely specimens that do not benefit from the shade of their companions are forced to grow longer roots, extracting water from deep within the soil. In order to settle this debate, Corina Tarnita, an assistant professor of ecology at Princeton University, decided to look into this matter. She teamed up another Princeton ecology professor, Robert Pringle, to run some intricate computer tests. They first looked into the termite model using computer models. Their simulation showed that it is very likely various termite colonies establish borders, which would then result in the circular patterns on the desert’s surface. Termite colonies are well known for fighting over territory. Whenever there’s a stalemate, they often form a border. Both Tarnita and Pringle discovered that every single settlement was surrounded by about six neighboring colonies. This wasn’t only true for the Namibian fairy circles but also correlated to how termites in areas such as Kenya, Arizona, and Mozambique often behave. Despite these findings, both researchers felt like they hadn’t done the water competition theory enough justice. Tarnita wondered if both theories could actually be right simultaneously. Tarnita and Pringle ran a computer model that computed for both a large-scale termite pattern and a small-scale pattern resulting from plants fighting over water. They saw a real possibility for both of these theories to be true. Eventually, the researchers headed out to Namibia to see these fairy circles for themselves. Once the scientists arrived at the Namib Desert, they found the larger circles made by termites, but they also spotted numerous smaller circles that hadn’t been noted before. These smaller circles measured about 20 centimeters in diameter and were roughly 20 centimeters apart from each other. This matched Tarnita and Pringle’s computer model perfectly, and it suggested that both theories could be simultaneously true. One staunch water competition theorist, however, is not ready to admit both termite and water competition theories can co-exist. Stephan Getzin, who works at the Helmholtz Center for Environmental Research, reported on fairy circles observed in Australia last year. Getzin said that he hasn’t seen any termites in either the Namib Desert or the Australian Outback. Although Tarnita and Pringle’s research attempted to resolve this issue, the back and forth between staunch supporters of either side will probably go on for some time. Jürgens has already called Getzin’s claim that there are no termites in the Namib Desert ludicrous. After years of work in the field, Jürgens believes termites are always present in areas where these circles appear. Perhaps only further studies will put this fairy circle debate to a close. Scientists are very excited about new lab experiments allowing them to restore eyesight in blind mice. The researchers used stem cells to give these mice the ability to see. This is the first time that they have been able to produce sight where it didn’t exist. According to the team involved, they do not know if the same procedure would work in people or not, until human trials are completed. If this works out, then blind people may be able to see again as well. How Did the Researchers Give Sight to Mice? Researchers working at the RIKEN Center for Developmental Biology, a large research facility in Japan, collected skin cells from the mice. In the lab, they were then able to induce them to make pluripotent stem cells. They were then able to convert these stem cells into retinal tissue. Finally, they transplanted the retina tissue into mice that had end-stage retinal degeneration. The mice were then put into a test box with two different chambers. They first trained the mice to move from one chamber to the other, using a beep and a light, in order to avoid receiving an electrical shock. Eventually, the beep was eliminated to see if the mice could detect just the light. In 40 percent of the mice, who had the procedure was done in just one eye, the mice responded to the light. In 45 percent of the mice, where both eyes were transplanted, the mice could see as well. That’s a high percentage for a trial to restore eyesight with no previous groundwork to rely on. The researchers hope that over time, eye-brain connection techniques can be improved to make these percentages even higher. Can the Same Thing Happen in Humans? From a clinical point of view, although we think that these results are very promising, human eyes may have a different environment from mice. He adds that without human studies, there is no way to know if human eyes would accept such retina transplants and then make connections with the brain. In his opinion, those answers can only be found when human tests are done. According to the scientists, it would be very exciting if it did work, because this would restore eyesight and light sensitivity to those currently struggling with blindness. They believe that it would also mean those affected could see large objects. If successful, this would be particularly great news for people with retinal degeneration. While there are several different types of this disease, everyone suffering from it experiences damage to photoreceptor cells (which allow them to sense light). Depending on the stage of degeneration, the person may see a blurred image, distorted, or see no image at all. The most common type of retinal degeneration is age-related macular degeneration. This disease that is usually seen in people over 50 slowly destroys the ability to see straight ahead. It can eventually make a person go totally blind. Caucasians are more likely to experience this disease than people from other ethnic groups. Scientists know that over 20 genes that can be passed down can cause age-related macular degeneration. Therefore, people are at a higher risk if one or both parents have the disease. Those who smoke or do not exercise are also more likely to develop this disease. Eating a well-balanced diet can also help prevent it. For the first time, scientists have been able to grow retina tissue in the lab from stem cell. They were also able to transplant it into mice and restore eyesight at least partially (in regards to perceiving light). Scientists are still not sure if the same will work in humans or not without completing a human trial. If the procedure works for human subjects, people with retinal degeneration will be able to see again. This would be great news for everyone suffering from age-related macular degeneration.